We met Brian Tiffany when we first moved to Cincinnati. As then President of the Over-the-Rhine Chamber of Commerce, he was welcoming, gracious, helpful and hysterically funny. He was such a great resource for us, and we were so excited for him when he opened his own company. We were even more thrilled when he asked us to design the logo/branding materials for him! Brian’s situation isn’t abnormal, but it was unique for us. 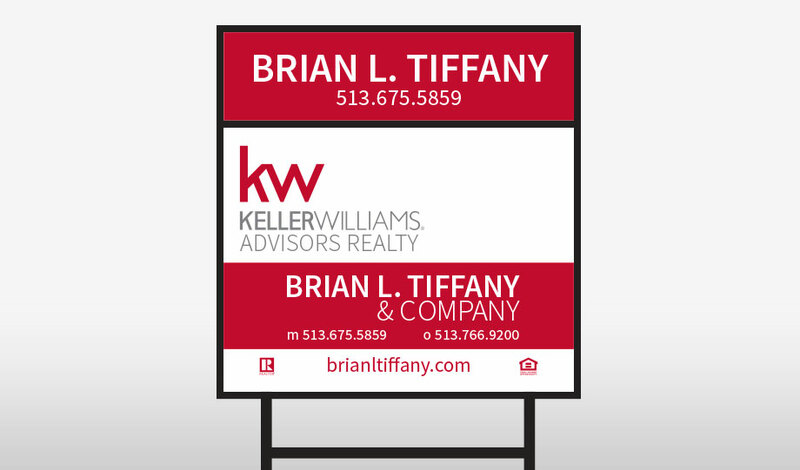 As a independent contractor for Keller Williams, his company is part of their organization and therefore must be prominent on all materials. 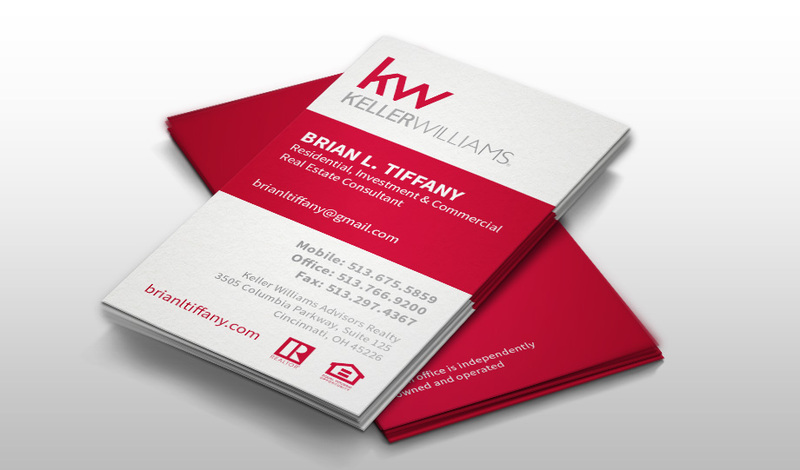 Keller Williams had just completed a brand refresh, and we obviously wanted him to coordinate with their branding materials. We designed the logomark, business cards, “For Sale” signs, and social media graphics.